The Marina Bay area in Singapore, was packed with lots of people, enjoying the festivities and celebrations around it, preparing to welcome and usher in the Year 2012 with a big bang of celebrations and fun at the Marina Bay, with the New Year Eve Countdown Fireworks being the highlight of the celebrations. I dropped by the evening to have a feel of the atmosphere around the Marina Bay, walking from the Esplanade around 6pm, it was already starting to get packed with people with their cameras and picnic setup. The weather was great, beautiful clear blue sky and lovely sun, I waited patiently for the last sunset of 2011 and I wasn’t disappointed at all! 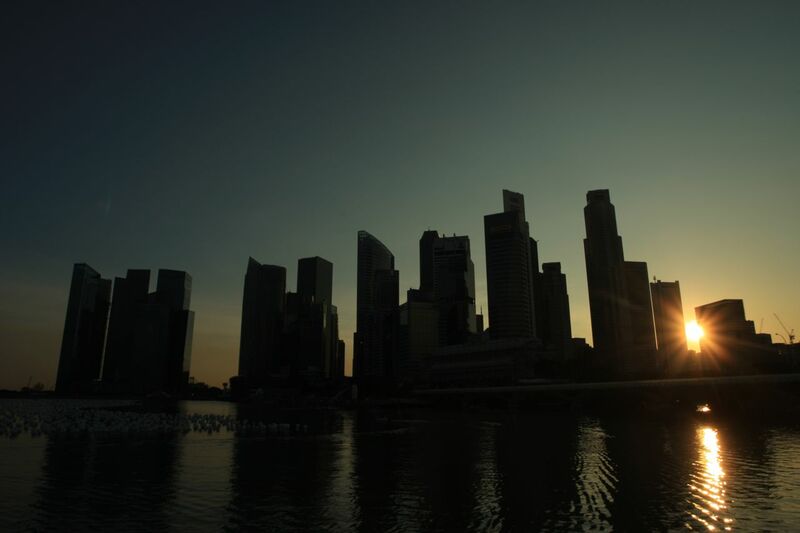 After capturing the last sunset of 2011, I waited for a while to capture the wishing spheres floating on Marina Bay to be lighted up, before going for my dinner and rest, waiting for reporting time at Singapore Flyer to capture the New Year Eve Countdown Fireworks! This was a special arrangement by Marina Bay Singapore division under Urban Redevelopment Authority (URA) and Singapore Flyer, who kindly made this very special arrangement for some of us photographers to capture the New Year Eve Countdown Fireworks from inside their capsule, a big Thank You to the organisations for giving us this wonderful opportunity! 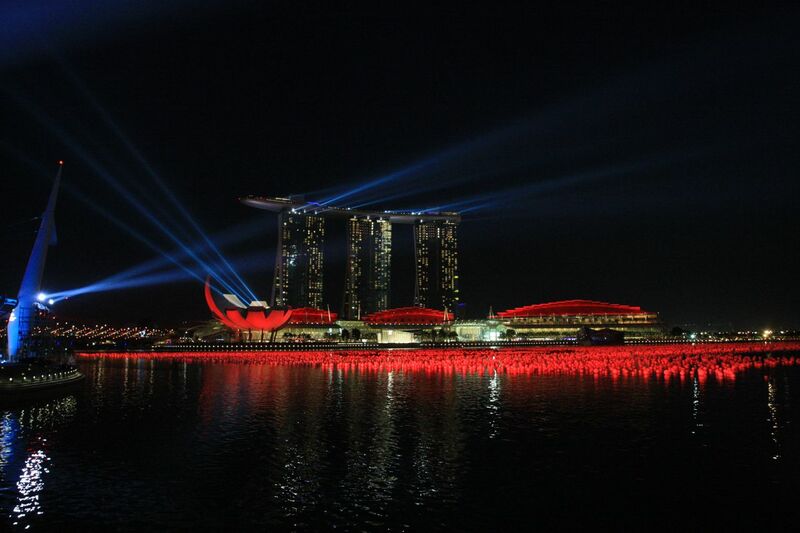 Do check out Marina Bay Singapore and Singapore Flyer for more information and exciting events! Thanks you Singapore Flyer and Marina Bay Division of URA for this special arrangement. 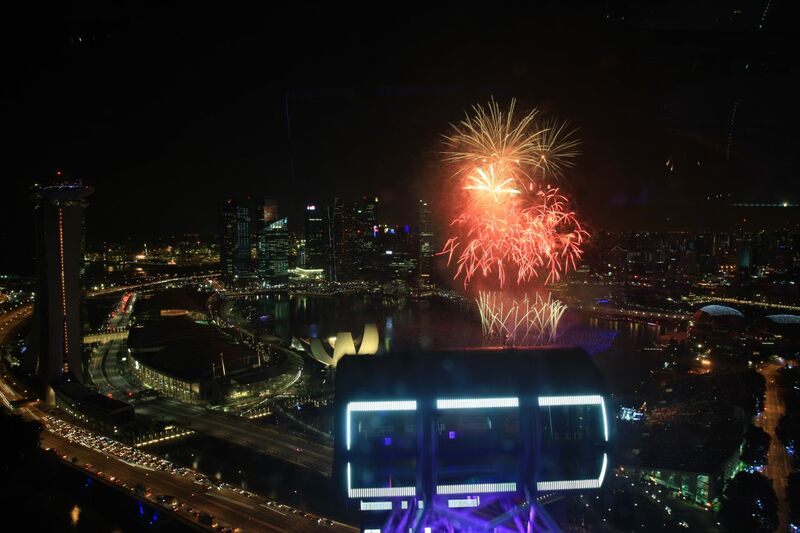 Shooting fireworks from a rotating moving Singapore Flyer is very challenging and it was an awesome experience capturing the fireworks! 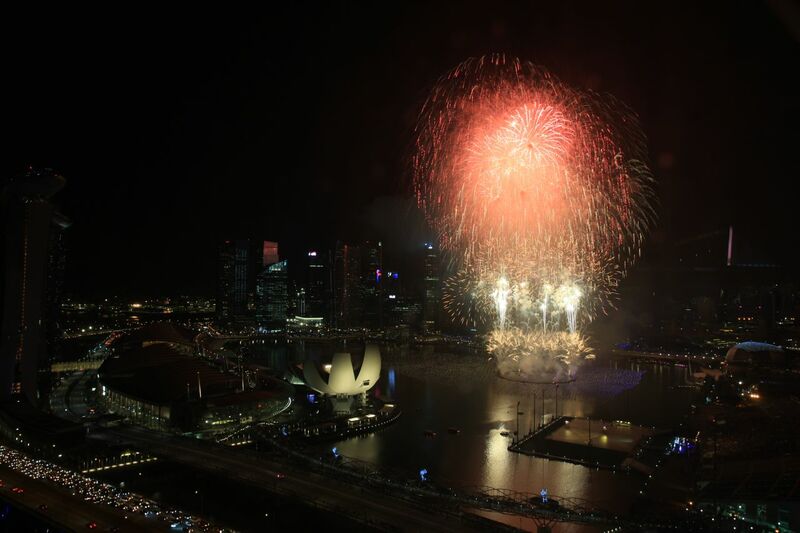 The views of the New Year Eve Countdown Fireworks were simply awesome and breath-taking, gorgeous views of the Marina Bay and city skyline, accompanied by the beautiful fireworks lighting up the Marina Bay skyline! Thank you Marina Bay Singapore and Singapore Flyer for this wonderful and exciting opportunity! I would also like to thank all my family, friends, supporters and readers for all your following and support! Good luck and all the best for 2012 !